Every year I end up going out and looking at all the amazing wreaths with all the holly and decorations. But I never find one that I love. There’s always some aspect of them I wish I could change. 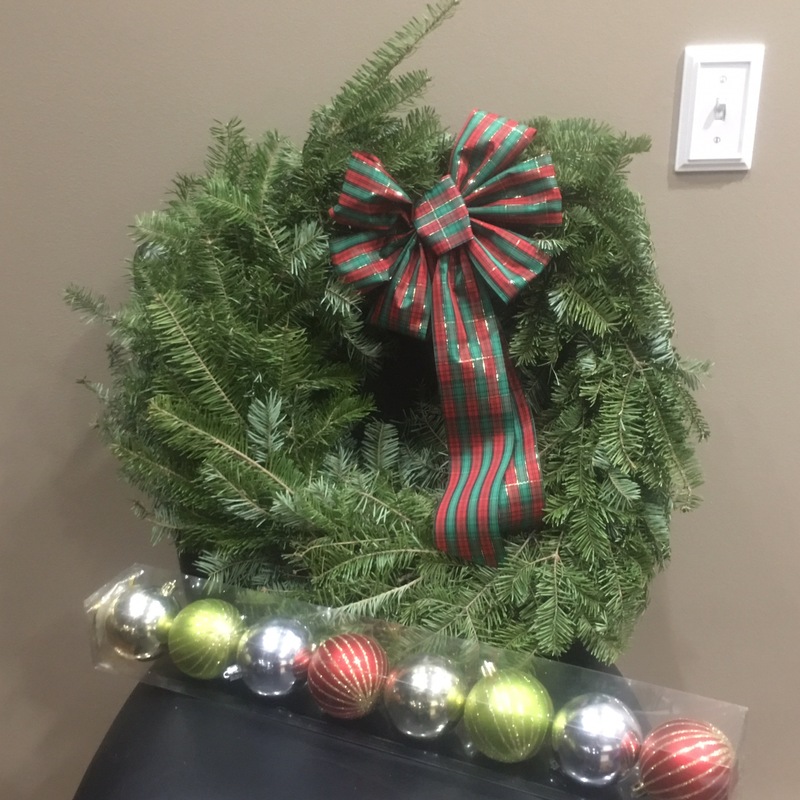 This year, I ordered my wreath from Hilltop Christmas Tree Farms and I picked up a few decorations and created my own masterpiece. I had a vision. I knew I was to have ornaments around the wreath and a multi-colored bow. Unfortunately, I didn’t receive the bow I ordered. But it was close. So I made it work. I found some cute plastic ornaments on a run to Target and thought they would work nicely. Now all I needed was a hot glue gun. When my wreath arrived I did have to do a little trimming and shaping, but I must admit I loved having it delivered! It was nice to be able to sit at home, in a nice warm house and pick out the wreath I desired. I also had to add a little piece of rope so I could hang my wreath. I was surprised that was not included in the wreath. In every other wreath I have ever purchased there has been a hook added when they tie on the bow so you can hang it from a hook. After I was done shopping my wreath I decided I wanted to trim the ribbon up a little too. Since I was adding some ornaments to the wreath the bow didn’t need to be as long anymore. When it was time to start adding the ornaments, I heated up my glue gun and laid the ornaments out the way I wanted to add them to the wreath. It took less than 5 minutes to add the bulbs to the wreath. 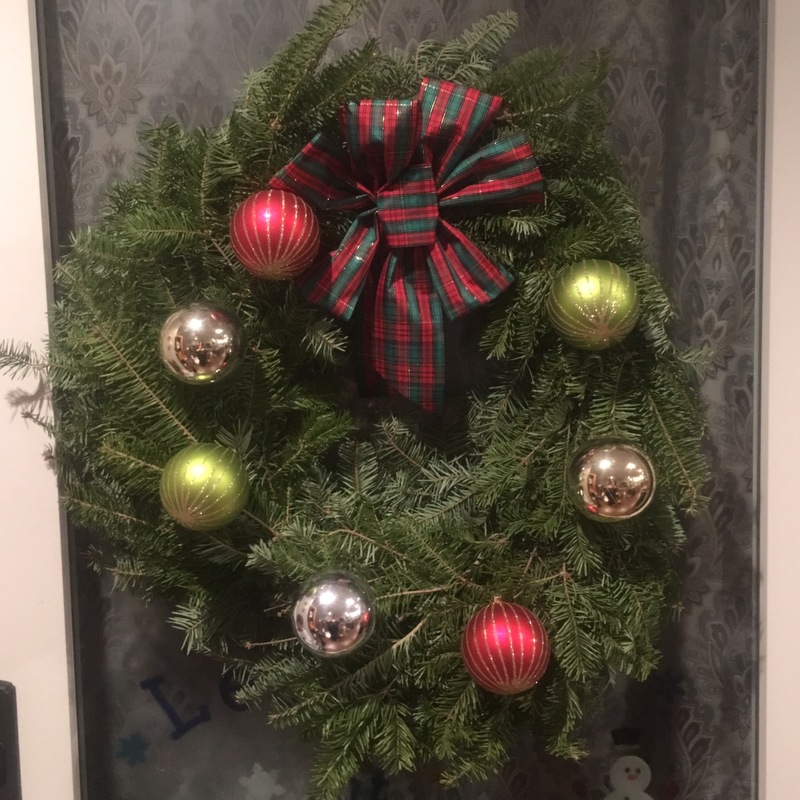 The hot glue gun worked really well, but you do have to put a lot of glue on the ornament so that there’s enough glue to get a good, secure attachment to the wreath. After I finished attaching ornaments, I let the wreath sit for about 15 minutes. I wanted to make sure everything had set up before I went to hang it on our door. I really like how it looks with the added ornaments. The only thing missing is maybe a few pinecones and holly berries. But then I would’ve done less ornaments. 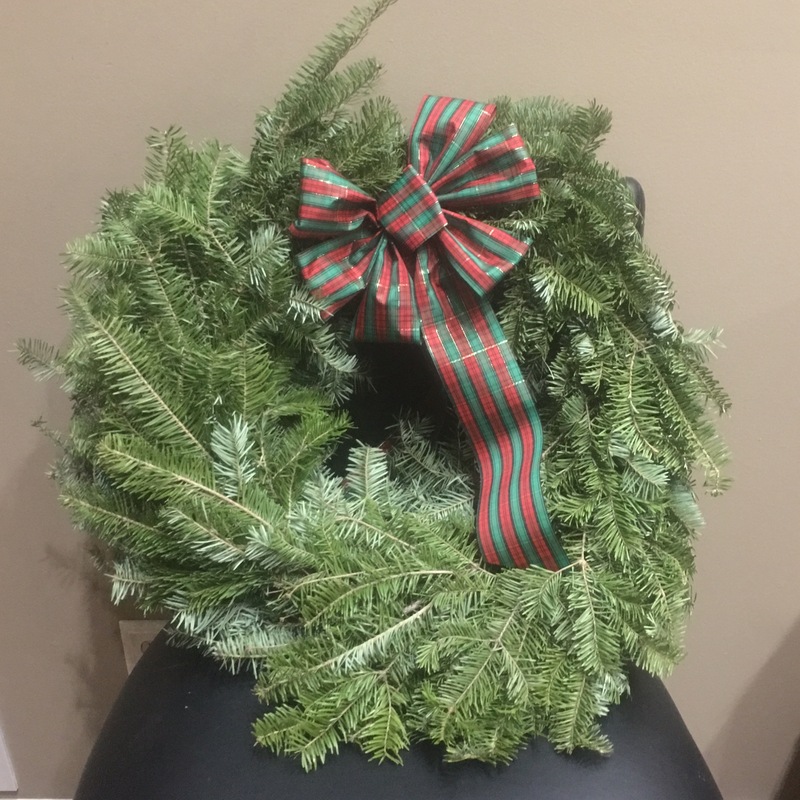 Hilltop Christmas Tree Farms offers a variety of wreaths and trees available for purchase online. I love that they will ship them right to your home. No need to head out and brave the frigid temps.